Marcia was born and raised in Bermuda. Her first love started in the dance world with ballet, jazz and modern. Then she adventured through Pilates where she loved the core power, body awareness and received her Pilates mat certification. She has over 10 years teaching and is a 200 RYT Strala Yoga Guide with Yoga Alliance, UK. 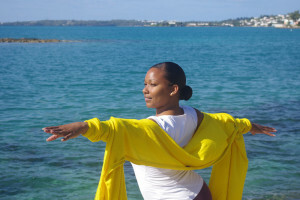 Marcia guides: Strala Yoga, Fusion Pilates, Yoga for the Curvy Voluptuous woman, Sunrise Yoga and Couples Candlelight Yoga.